Joju Solar now offer a range of Continuing Professional Development courses (CPD) for buildings professionals including architects, building contractors, roofing contractors and project developers. The courses take the form of a 1-2 hour seminar, and allow attendees to claim CPD points for attending the workshop. Gaining CPD points is a means of demonstrating continual learning within your profession, for furthering your career and gaining specialist skills. 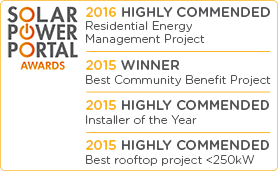 Understanding the payback and investability of solar PV, and developing projects that really benefit the client. The Future Smart grids, battery storage and EV charging A preliminary understanding of new technologies that thy will need to consider in coming years. Each of the above modules takes about 1/2 hour to deliver, so most of our clients pick 2-3 to cover in one session. Different audiences tend to want to focus on different areas, so you can tailor your requirements to your needs. Our CPD courses are delivered by our Technical Director, Dr Chris Jardine. Chris has worked on solar PV since 2000, and so has nearly 2 decades experience of the sector. As well as his role at Joju, Chris is also a Senior Lecturer at Oxford University’s Environmental Change Institute, where he runs an annual MSc course on Energy. He has a reputation as a highly engaging speaker and educator. It’s quite a unique mix – being able to bring academic level information, coupled with on the ground experience of delivering PV projects – and this is something we aim to bring across in our CPD lectures. 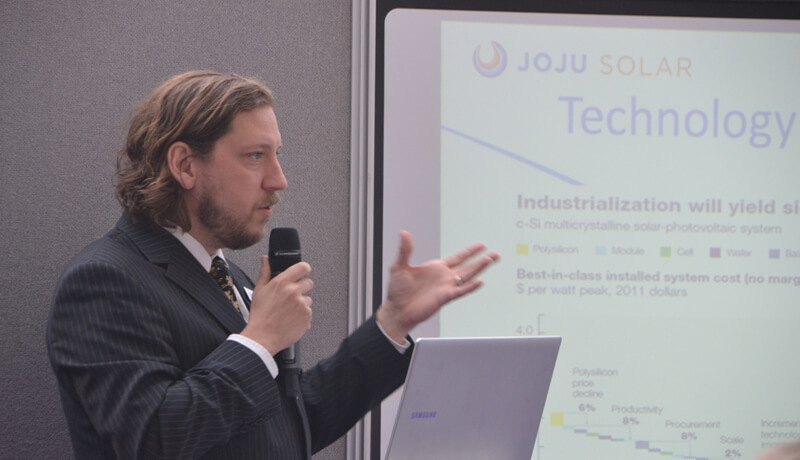 If you’d like to receive a CPD course from Joju Solar, then do get in touch via our usual enquiry form.